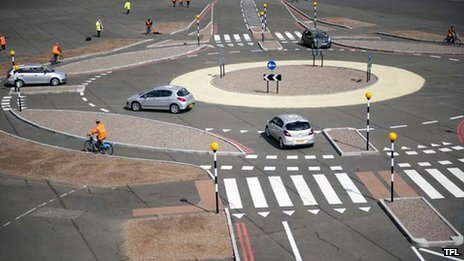 Roundabout being trialled in Berkshire. Roger made a presentation on behalf of the ACP regarding his vision of One Arundel, when a new By-pass is built it provides the opportunities to re style key junctions, to re-unite the town as one, to make Ford Road a dead end with no access to the By-Pass. Arundel would be accessed by the old A27 either East or West, using the new By-pass to access Ford Road south of the By-pass (There would be no access North). All these changes are not certain, but it gives the opportunity for the whole community to swing behind a positive shopping list agenda of positive changes for a post Bypass future. I made this point to Kay that we should all join forces to lobby government to get these changes adopted as part of the overall plan, I would also include some sort of earth bund around the western end to reduce noise to those houses that would be closest to the bypass, add all the previously mentioned opportunities to develop a network of cycleway and foot paths.